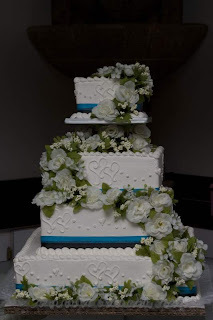 As you've been looking at wedding cake pictures, have you remembered to look for groom's cakes as well? 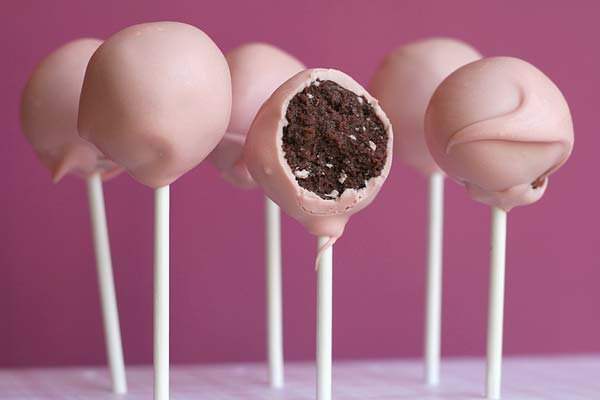 The old tradition dictates that the groom's cake is a smaller cake, usually a dark cake such as a chocolate cake, or spirit-soaked cake, with a more masculine cake design. Today the groom's cake is making a huge comeback. 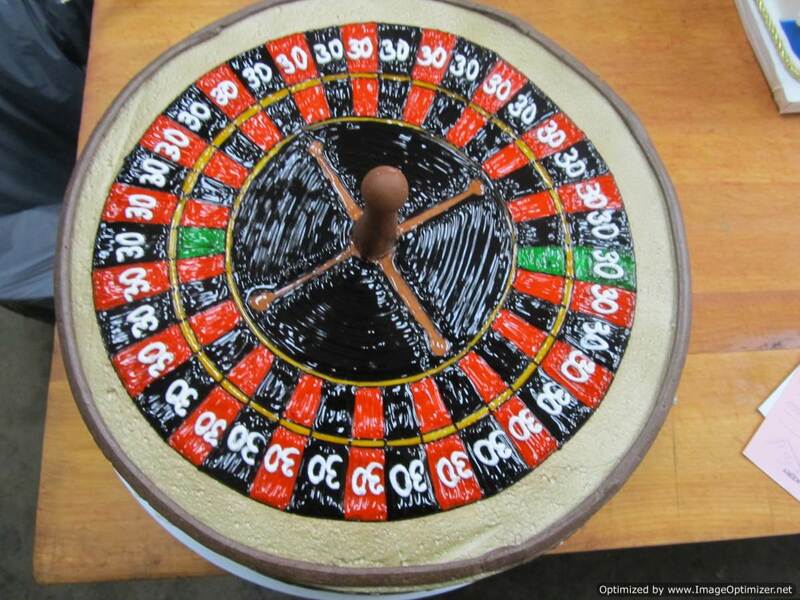 These days it is most often showing up as a surprise gift from the bride to her groom, and the new interpretation tends to be a uniquely styled cake that plays off one of the groom's interests or hobbies. 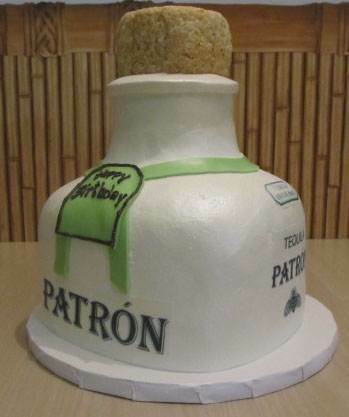 How about this bottle of Patron cake? 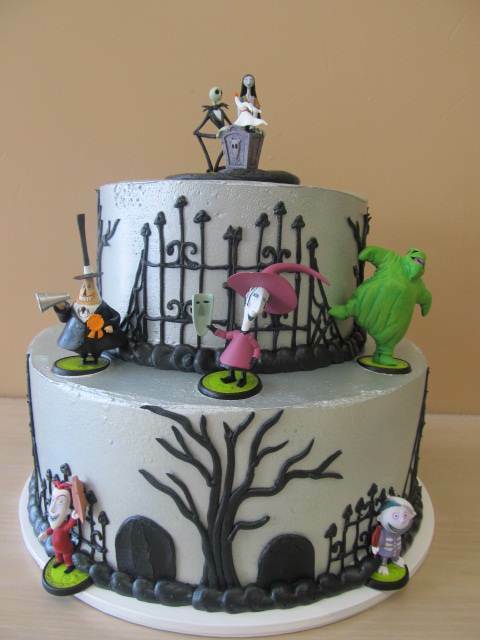 Check out our website or our Pinterest for more great groom's cake ideas. We love making hobby cakes, and you'll see a number of examples: guitar cake, a director's clapboard cake, a camera cake...you are only limited by your imagination with this very personal tradition. Order your groom's surprise cake from our family-owned bakery today! 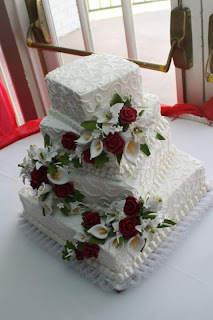 As you've been browsing wedding cake pictures, have you remembered to look at groom's cakes?Tradition has it that the groom's cake is a smaller cake, usually a dark cake such as a chocolate cake, or spirit-soaked cake, with a more masculine design. The tradition of the groom's cake is making a huge comeback. Nowadays it is most often appearing as a surprise gift from the bride to groom, and the new interpretation tends to be a unique cake that reflects one of the groom's interests or hobbies. We also have cakes in an array of flavors and fillings. For your groom's cake, how about an Italian Rum cake with a pineapple rum filling? 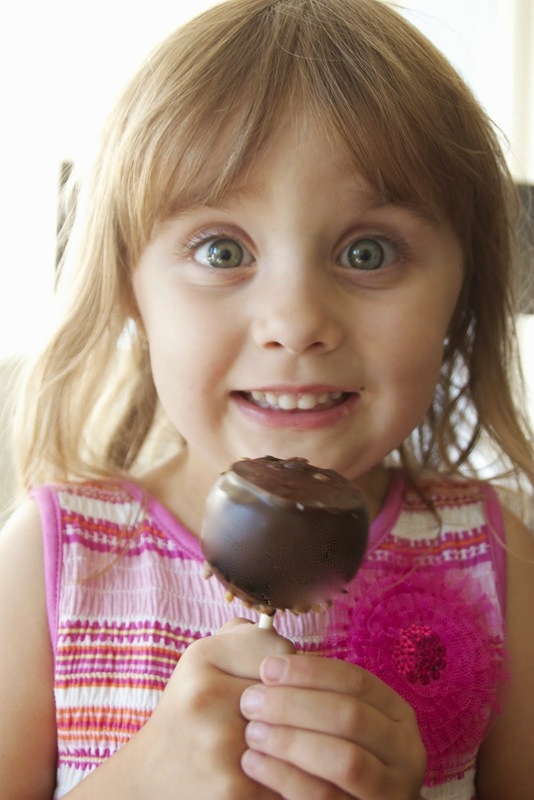 Or a dark chocolate cake mocha custard filling? 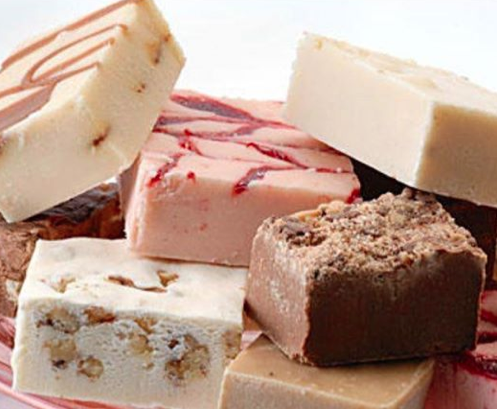 Come in and sample some of our delicious flavors. 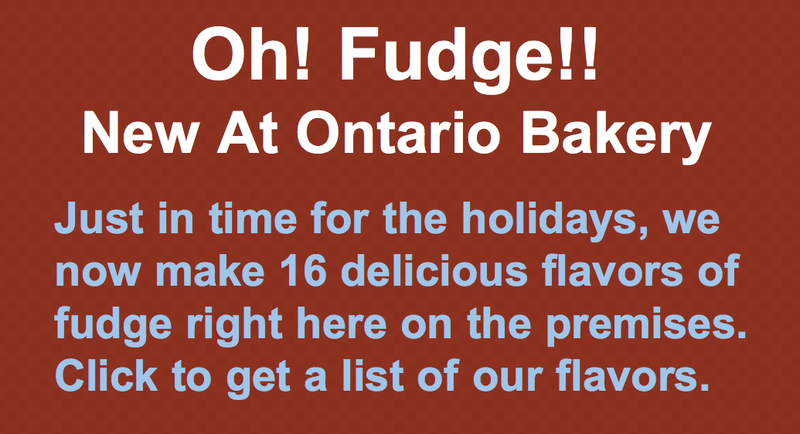 Don't forget to order a groom's cake when you order from our Ontario bakery, close to Chino Hills!